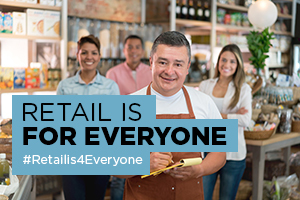 As the industry that supports more than 42 million American jobs, we know retail is a place of opportunity. 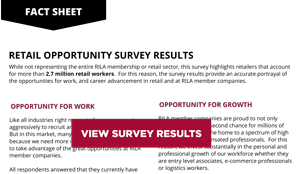 RILA recently surveyed our members to learn more about the opportunities for work and career advancement that exist in retail. This survey highlights responses from retailers that employ more than 2.7 million Americans. 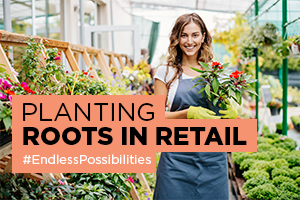 As retail continues to build a 21st century workforce, RILA members will continue to highlight the endless opportunities and path towards success for millions of Americans. Retail provides opportunities for a first job or second chance for millions of Americans. RILA member companies are also home to a spectrum of high-skilled, highly-compensated professionals. 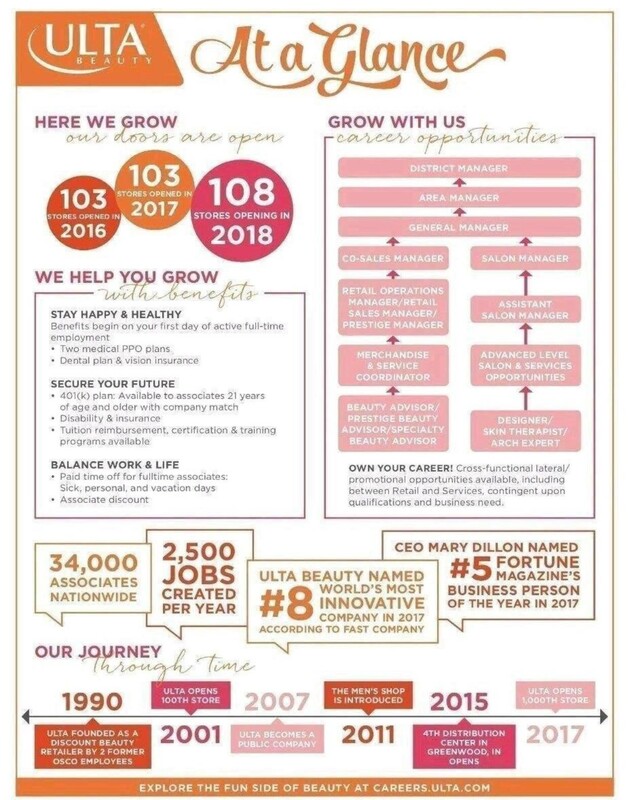 For this reason, our members invest substantially in the personal and professional growth of the retail workforce – whether they are entry-level associates, e-commerce professionals, or logistics workers. Our member companies provide countless opportunities for workers at all levels and from all walks of life. But we are most proud of our role as the step in the ladder of success for those who are seeking opportunities for growth. But as retailers contend with gig economy, many job openings go unfilled. All of the survey respondents answered that they currently have job openings they are actively seeking to fill.